I decided to try a different combination here. The layered spacer is a stack of five 1/8 inch layers. The rest of the handle is also Micarta but two heavier scales in a mortised type handle. The blade is 1084 and 3-5/8 inch. Nice. 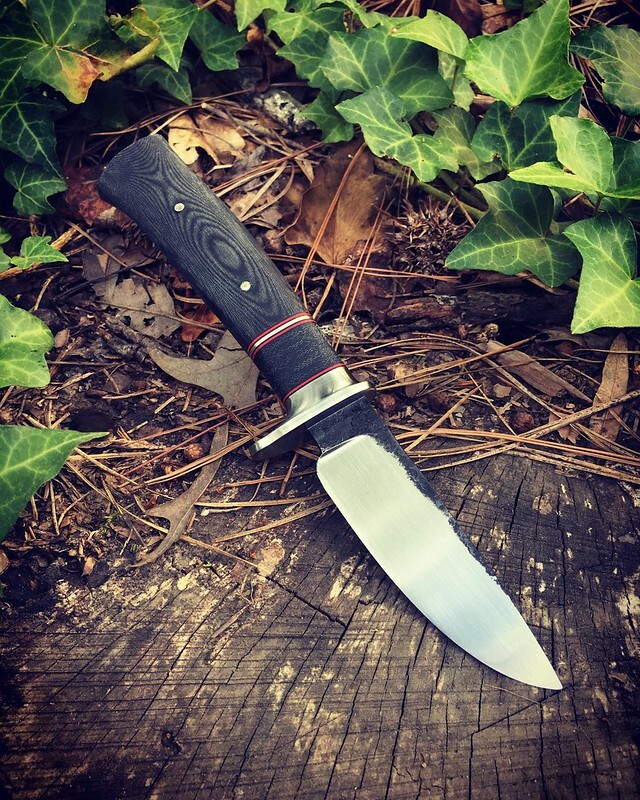 I know most guys on here will have a predilection to stag or wood, but micarta and g10 just make a superior knife handle. 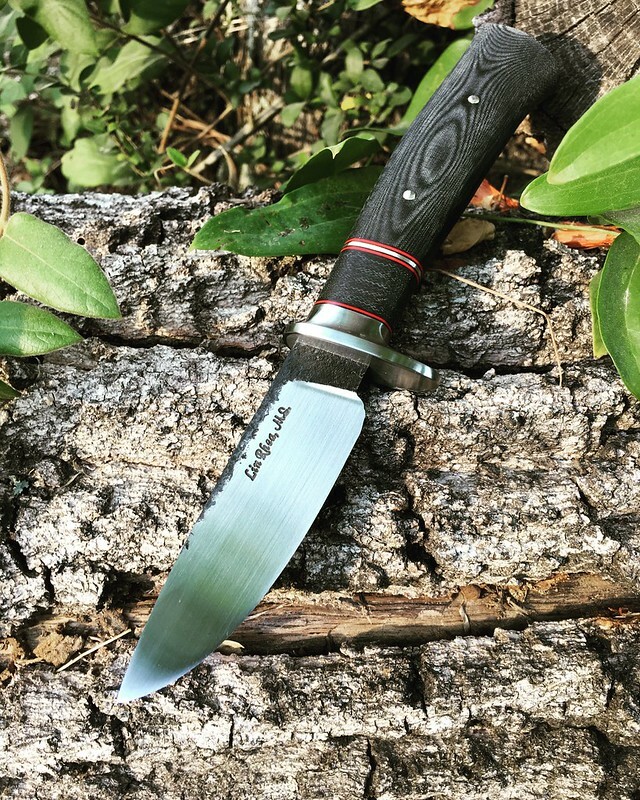 Thats pretty neat, I love the guard and the combo of black and red in the handle, Pretty sharp!